I'm still on my Greek yogurt kick and sharing another Greek yogurt hack with you today (see how I made a healthier version of Rocky Road ice cream here)! 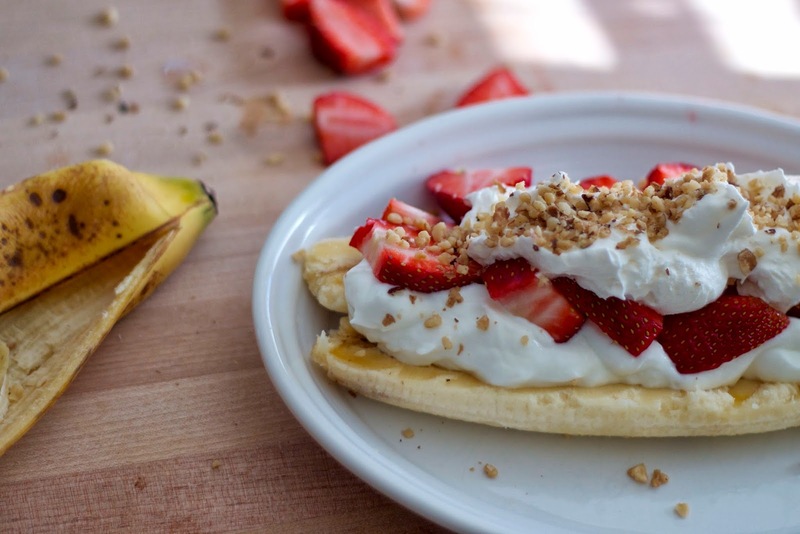 This is a great breakfast, snack or dessert hacked from a typical high calorie dessert. 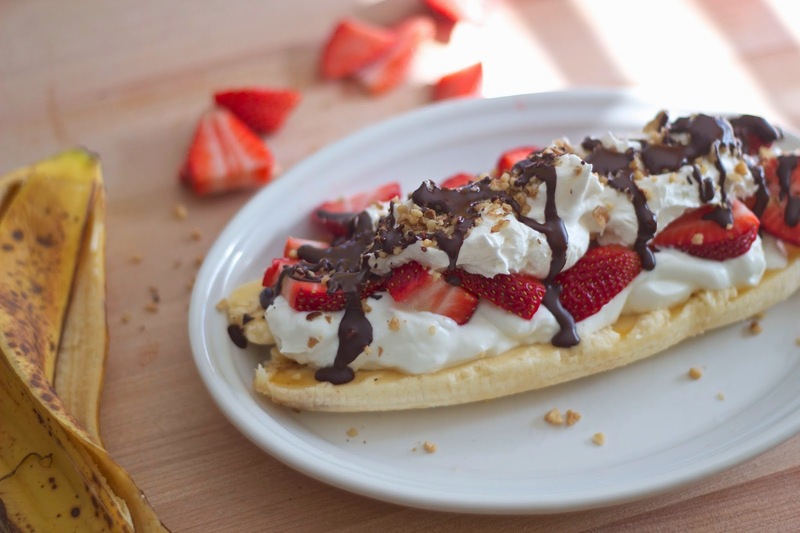 I whipped up this Greek yogurt Banana Split and it was not only delicious, but super filling! 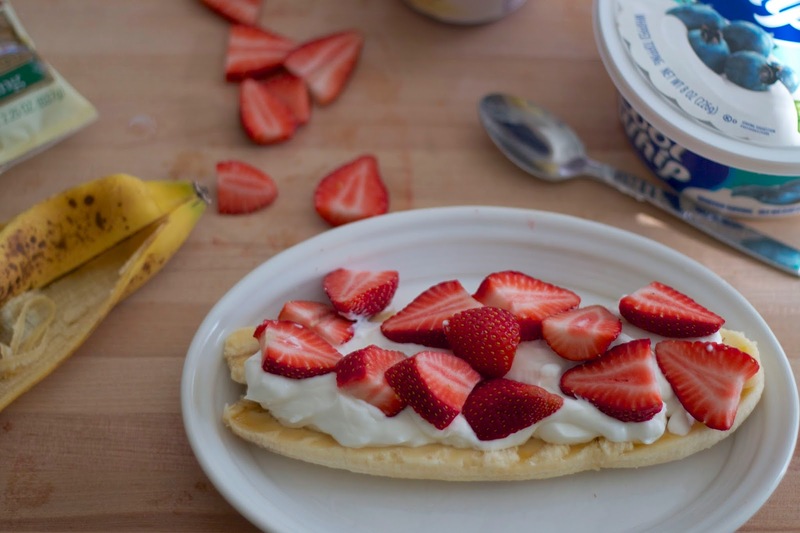 You could even customize this to include your favorite fruits (blueberries? ), nuts (peanuts?) 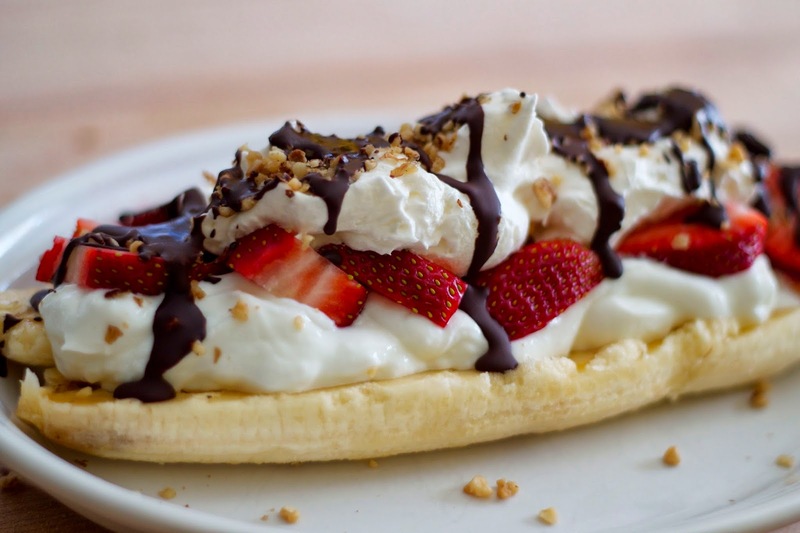 or other toppings (chocolate chips?). Yum! 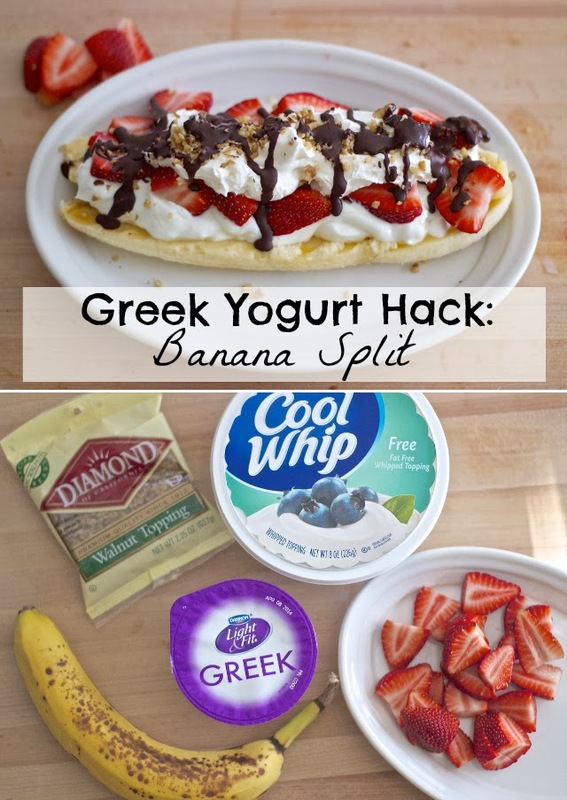 More Greek yogurt hacks to come (I love this stuff) + keep your own Greek Yogurt uses coming (I love them! ).